Planning your summer travels? Why not work in a California wine festival or two? 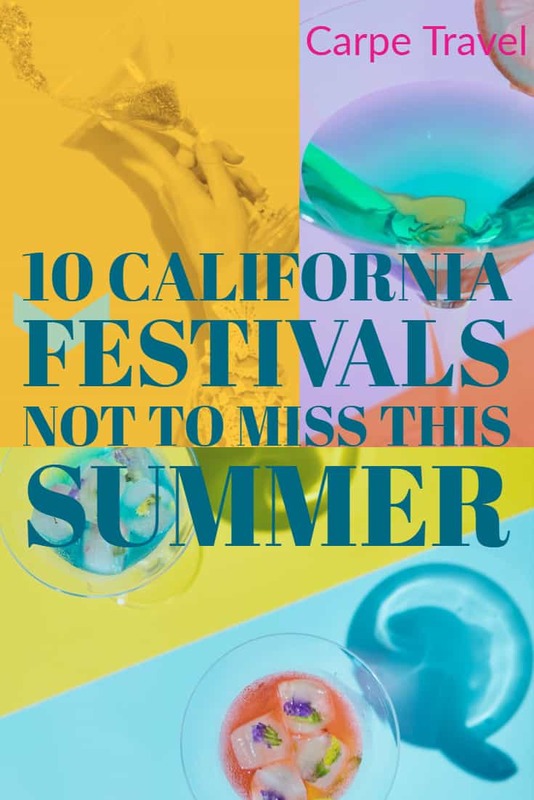 If you’re not heading to Cali this summer but want to hit a wine festival, make sure to see our state-by-state wine festival guide. While it’s not quite summer the Pebble Beach Food & Wine Festival helps to kick off the California wine festival season. Matching 250 acclaimed wineries and 100 celebrity chefs to create a hedonistic four-day destination on one of the most picturesque strips of coastline in the world, Pebble Beach Food & Wine is an event not to miss… Throughout the weekend you’ll enjoy intimate access to the pinnacle of culinary and wine talent at wine tastings, cooking demos, and some of the most exclusive, unique dining opportunities. Approx. 85 bands and acts will perform in 2018 – an all-star list of performers – creating a collision of music, food and wine that reverberates for miles arrives in Napa. BottleRock Napa Valley features an all world lineup of artists, bands and comedic performers from a variety of genres, including rock, soul/ R&B, country, hip hop, comedy and more. Iconic restaurateurs share the culinary stage with superstar vintners. A portion of proceeds benefit charities ranging from autism to cancer, and many great causes. Temecula Valley is known for its award-winning wines and beautiful Lake Skinner. Once a year, on the first weekend of June, it is the time to combine wine tasting with admiring the scenery during the Temecula Valley Balloon & Wine Festival. Over 40,000 attendees come to Wine Country for three days of celebration. The most dramatic views are open for those who decide to fly in air balloons. Rising up above the gorgeous lake and numerous vineyards is a great adventure, no matter whether you’ve chosen a romantic evening or inspiring sunrise flight. If you prefer to stay on land, you’ll still get lots of satisfaction. Signature events include top entertainment, live music concerts, a kids fair, arts and crafts, various exhibits, and lots of delicious food. Tasting premium wines from Temecula Valley and other Southern California’s wineries and observing numerous hot air balloons rising like glowing lanterns at dusk is a truly memorable experience. The annual Fest combines tastes of wines from California and around the Globe. 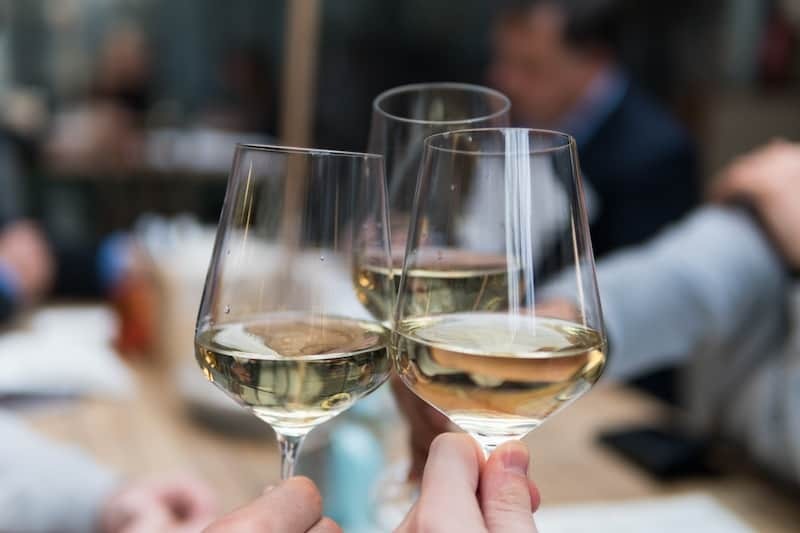 The ‘Celebration of All Things Wine’ offers tastes from 50+ wineries, numerous craft breweries, plus artisan boutiques and gourmet food trucks for purchase. There are also two special Boutique Winery gardens that offer tastings from boutique wineries producing under 2,000 cases of wine per year (separate ticket). The Fest offers live music each day, Saturday is Roots Rock and Sunday will be “Jazz at the Fest” with some of our exciting jazz friends. Now in its 43nd year The Monterey Wine Festival has established itself as the premier wine and food event in Monterey. Saturday and Sunday lucky guests will find savoring bites of wonderful foods that pair well with beers and spirits and sips of world class wines. Now the festival features many new editions like cocktail camp, an entire array of craft spirits and more that keep guests happy and the palate alive with anticipation. Beers and live have been music added into the mix making this California wine festival a not to be missed celebration. The Santa Barbara Wine + Food Festival takes place along the shaded banks of Mission Creek at the Santa Barbara Museum of Natural History. Swirl, sip, and savor tastings from 50 premier Central Coast wineries, complemented by savory and sweet bites from more than 30 top local food purveyors. One hundred percent of the net proceeds from the Santa Barbara Wine + Food Festival support the Museum’s nature and science education programs for all ages. This California wine festival is outdoors, open to all 21 and older, handicapped accessible, and non-smoking. Service animals only. Don’t miss the annual California Wine Festival, in beautiful Santa Barbara – one of the largest outdoor wine festivals in the state! This beautiful city is the original home of the CWF, a spectacular gathering of wine, food, music and fun at the beach! A true world-class resort city, Santa Barbara attracts sophisticated visitors from around the world many of whom spend a few days by the beach tasting great California wines. A hip crowd of thousands of wine lovers flock to our three-day Festival, making this one of the most desirable consumer wine events of the year. Livermore Valley’s annual quest for food and wine pairing excellence features winemakers partnered with Bay Area chefs to compete for honors. It’s a delicious pairing of the two! Meet winemakers and chefs while sampling creations highlighting the valley’s terroir. Wine and food judges participate in a blind tasting and present awards to the winning teams. During the weekend there are a variety of other events such as yoga in the vineyards, dinner pairings and many more, making it a fun and cannot miss California wine festival. Enjoy a weekend of wining and dining in the High Sierra. The weekend kicks off Thursday with a Cork Pop Dinner, followed by 3 exclusive Winemaker Dinners to choose from on Friday night. The coveted Wine Walk in The Village takes place Saturday evening, with 30+ wineries pouring at this years event. The weekend concludes with a poolside Champagne Brunch at The Westin’s Whitebark Restaurant on Sunday morning. Proceeds from this event support the Mammoth Mountain Community Foundation. This California wine festival brings together local chefs/restaurants with neighboring growers/producers to turn out scrumptious samples craftily paired with the appropriate wine or brew. The festival marketplace includes locally made goods such as jam, soap, honey and olive oil along with specialty products created right here in the county, such as fine art, jewelry, and crafts. Sample the Sierra also features the Sierra Chefs Challenge, a cooking challenge between three regional chefs cooking with locally sourced ingredients. Watch three of the most talented chefs prepare delicious meals – and even get the opportunity to taste them! The weekend is full of festivities for the whole family including farm tours, music, live entertainment, and art. Visit this page on a regular basis to find out who will be participating at this year’s event! This two-day art show and fundraiser has quickly garnered a reputation as one of the most prestigious art & wine festivals in California. The La Jolla Art & Wine Festival is free and open to the public. Featuring the works of over 150 established artists from San Diego, Los Angeles, Orange County, Baja and beyond, the LJAWF features something for everyone including a silent auction, roving entertainment, a gourmet marketplace, the family art center and a wine and beer garden which will include premier wineries in addition to San Diego’s top breweries. The San Diego Bay Wine + Food Festival spotlights the culinary scene of America’s Finest City, with events focusing on the city’s latest trends, including: its commitment to sustainable seafood, fermentation, and exploring the neighboring gastronomy of San Diego’s bordering Baja region. The week long California wine festival culminates with the Grand Tasting on the scenic San Diego Bay featuring over 60 of San Diego’s top Chef’s and restaurants as well as over 200 international wineries, breweries and spirit companies, chefs, culinary personalities, and gourmet food. The festival sees over 10,000 wine and food aficionados from across the nation for the biggest wine and food celebration in Southern California. I love this list! ZinFest in Lodi is held every May and is a wonderful wine festival. It’s not just about Zinfandel — all types of wines are served, and the presentations by sommeliers and winemakers are fun and interesting. Great tip about ZinFest – thanks! Cheers! I’m Elaine Schoch. I’m an award-winning travel writer, wine judge and Wine & Spirit Education Trust (WSET) certified. 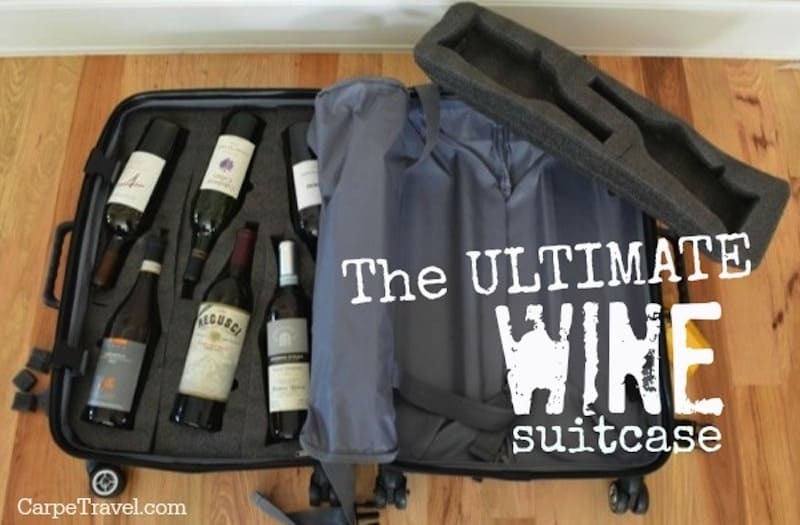 At Carpe Travel my goal is to help guide ALL WINE LOVERS – from novices to experienced pros – on their wine adventures. To arm you with insider tips, must-visit spots, and things to see and do beyond the vines. © 2011-2017 Elaine Schoch/Carpe Travel. All rights reserved. May not use text or photos without permission.